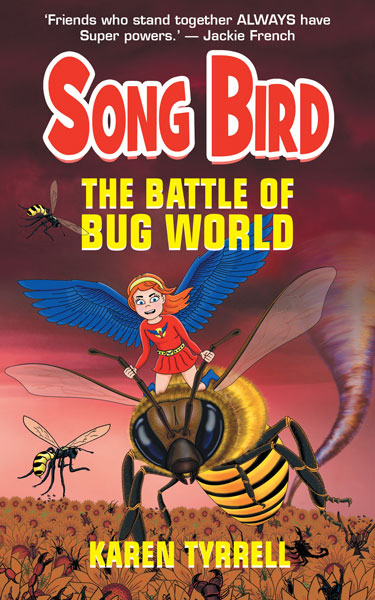 Song Bird Superhero AKA Rosella Ava Bird leads a rescue mission to STOP the bully, save her sister, the bees and the environment. 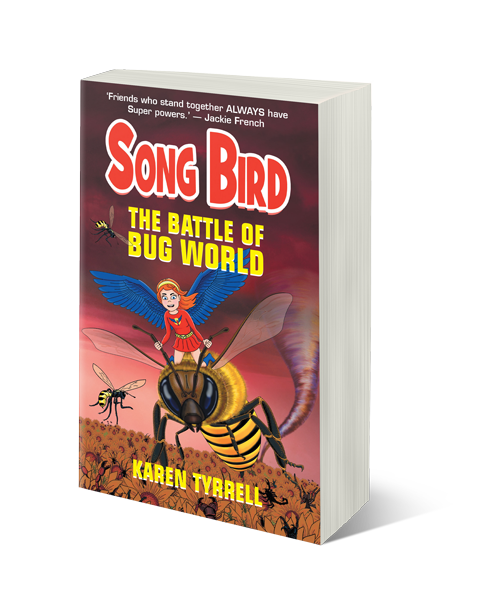 Three friends: one bullied, one disabled, one geek … battle cyclones, baddies and bullies. First, I’d like to thank the Blog Tour hosts who created, promoted and shared a post on their website. Available at good Book Shops too. 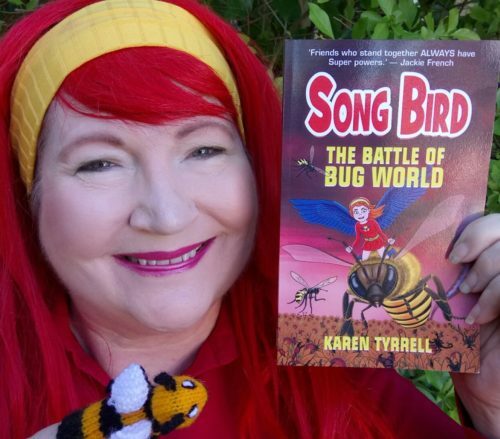 Thanks for supporting The Battle of Bug World. Which Blog Tour Review OR interview did you ENJOY the MOST? Please leave your comment below. Love to hear from you. I’d be happy to answer any questions. Please LIKE, Comment, Tweet, Google or share! ? Thank you!! I can’t wait to read it and share it on my blog & other social media sites. Oh wow, how exciting. Thanks Karen, now I just need to figure out what to send. I’ll bring a signed copy to Write Links tomorrow.